Examining in detail the apparently inexorable polarization of society in such countries as Rwanda, Algeria, and South Africa, the author questions whether current theories correctly explain the past or offer adequate guides for the future. In their place he puts forward an alternative neo-Durkheimian view of the possibility of non-violent revolutionary change, based on the development of such social and cultural continuities as already exist within each plural society. But he warns that -this is an age of passionate commitment to violence in which vicarious killers abound in search of a Vietnam of their own.- The aim of this groundbreaking and challenging book is to create theoretical perspectives in which to view the racial conflict of plural societies. 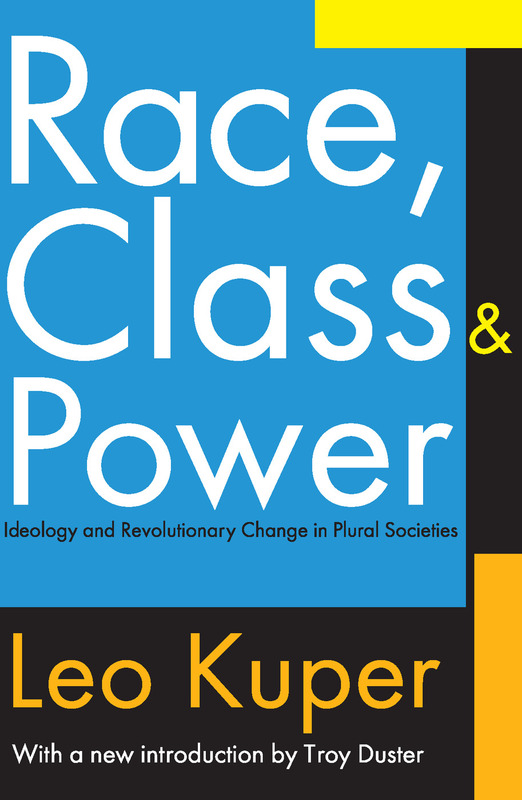 Written in the turbulent early 1970s, the book demonstrates the inadequacy of then prevailing views such as Marxist interpretations of racial conflict as class struggle, and the Fanon a priori rejection of non-violent techniques of change, which Kuper holds responsible for the acceptance of what he calls -the platitudes of violence.- The book concludes with more personal sections focusing on the author's struggles with the then prevailing South African society, critiques of that, and censorship of his attempts to make these public. In the light of subsequent changes in South Africa many decades later, this book serves not only as an important work of political sociology but as a personal testament to the fight against racism in South Africa. Leo Kuper was professor of sociology and director of the African Studies Center at the University of California, Los Angeles. A South African by birth, he was one of the first writers on genocide as well as other aspects of African studies and urban sociology. His major book, Genocide (Penguin, 1981), remains in print. The Leo Kuper Foundation is a non-governmental organization dedicated to the eradication of genocide through research, advice, and education. It was created in Washington, DC in 1994 following the death of Leo Kuper, with the aim of improving measures to prevent genocide. The main area of work for the past five years has been in support of the creation of an International Criminal Court. Troy Duster is director at the Institute for the History of the Production of Knowledge, New York University.